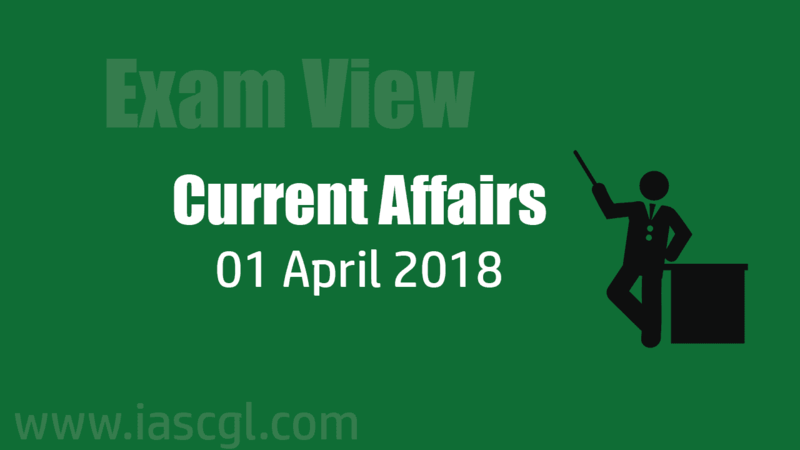 Current Affair of 01 April 2018, Exam View. American aerospace company SpaceX on Friday successfully launched a Falcon 9 rocket carrying 10 telecommunications satellites from the Vandenberg Air Force Base in Southern California. The Iridium-5 NEXT Mission marked the fifth set of 10 satellites that SpaceX has launched for its customer's Iridium NEXT global satellite constellation. The Iridium-NEXT satellites were launched for McLean, Virginia-based satellite operator Iridium Communications. Fino Payments Bank has said it plans to deploy multi-utility Android-based mPoS (mobile point-of-sale) devices across 10,000 banking points in the country in a phased manner. The mPoS is a portable device with an in-built fingerprint scanner, card reader, camera, printer and a tablet. The device will gradually replace the combination of devices currently used to facilitate fingerprint authentication and digital transactions. 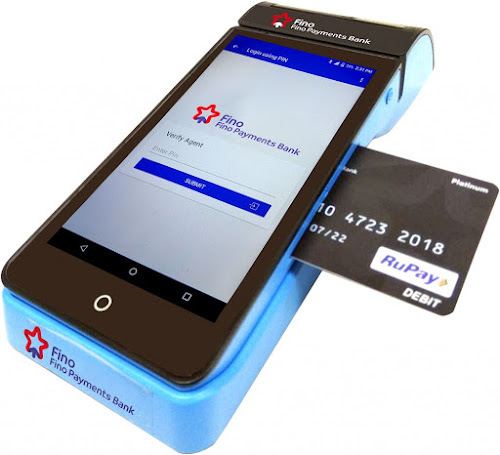 In the next 12 months, Fino Payment will deploy these(Android-based PoS) devices at 10,000 of Fino retail as well as corporate banking points, including branches, BPCL outlets, franchisee points and partner bank’s BC (Business Correspondent) channel. The Cabinet Committee on Economic Affairs, chaired by Prime Minister Shri has approved the proposal of the Department of Fertilizers for fixation of Nutrient Based Subsidy (NBS)rates for P&K Fertilizers for the year 2018-19. The philosophy behind Huddle Kerala is to help the next generation world-conquering companies move forward. Nepal's central bank has paved the way for domestic commercial banks to borrow from foreign banks and financial institutions. The banks can borrow loans for the period from one year to five years to finance only in the productive sector such as agriculture, tourism, hydropower and outer infrastructure projects. Borrowed loans from abroad cannot be used to lend to the real estate, share market and imports. 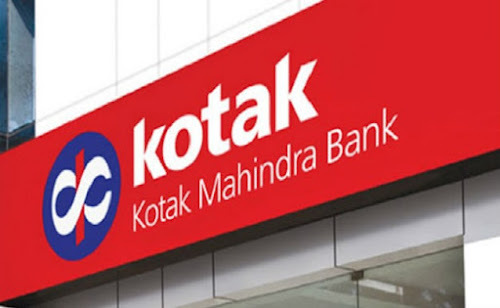 Kotak Mahindra Bank has launched the country’s first artificial intelligence-powered voice-bot in the banking sector. Keya uses automatic speech recognition, natural language understanding and text-to-speech technology. It is powered by Nuance, the same technology behind Apple’s Siri. Keva will save time by bypassing the various options in an interactive voice response system (IVRS). Keya has been trained to recognize voice of customers across the country and can convert speech to text irrespective of the accent of the customer. If keva not able to understand anything, the call will be bypassed to an agent who can pick up the query from where the machine left off. The National Annual Rural Sanitation Survey (NARSS) 2017-18 reveals that 68% of rural households in India use the toilet when required. The survey was conducted by a third party agency Kantar Public, as a requirement by the World Bank to begin payout on its $1.5 billion loan to the Swacch Bharat Abhiyan-Gramin. The provisional summary report of the survey found that 77% of all rural households now have access to toilets and that 93.4% of those who had access to toilets used them regularly. Kerala and Mizoram top the list of States, with 100% of households which do not practice open defecation. The following 11 states/UTs namely Sikkim, Himachal Pradesh, Kerala, Uttarakhand, Haryana, Gujarat, Chandigarh, Daman and Diu, Arunachal Pradesh, Chhattisgarh and Meghalaya had been declared Open Defecation Free in India. This is in line with the Prime Minister's clarion call on 2nd October 2014 for each individual to devote 100 hours to Swachhata through the year. 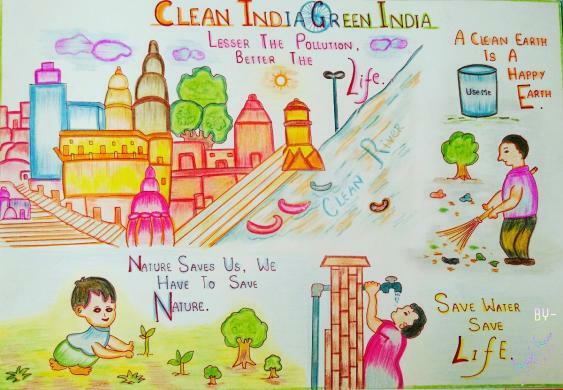 The purpose of SBSI is to develop skills for the cleanliness sector in the millions of educated youth across the country, to spread awareness of public awareness and to strengthen the mass movement for clean India campaign. Under the conditions of internship, every candidate will need to work for various activities on various activities, including workshops, preparation of sanitation infrastructure, arrangement for behavioral change and other IEC initiatives in the villages and surrounding areas. Internships are being prepared in consultation with the Department of Higher Education. Best internship will be recognized at college, college, state and national level. An internship certificate will be provided by the Swachh Bharat Abhiyan to all the entrepreneurs who complete SBSI. The University Grants Commission has agreed to provide two credit points to the students of those higher educational institutions under the Choice Based Credit System (CBCS), who will make and complete the SBSI.